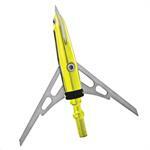 New Rage X-TREME Broadhead 100 Grain 2 Blade Rage Broadheads...Massive Entry Holes, Deeper Penetration! Rage Outdoors introduced the most lethal broadhead to ever hit the market: The Rage X-Treme. With a 2.3-inch cutting diameter, the sweeping blade angle on the new X-Treme maintains kinetic energy longer and penetrates deeper than any other blade, and produces larger entry and exit wounds for even better blood trails. For dependable blade containment and deployment at all times, the Rage X-Treme has been designed with with the newly patented Shock Collar. This new design will ensure that your blades will remain in place until that ultimate moment of truth. 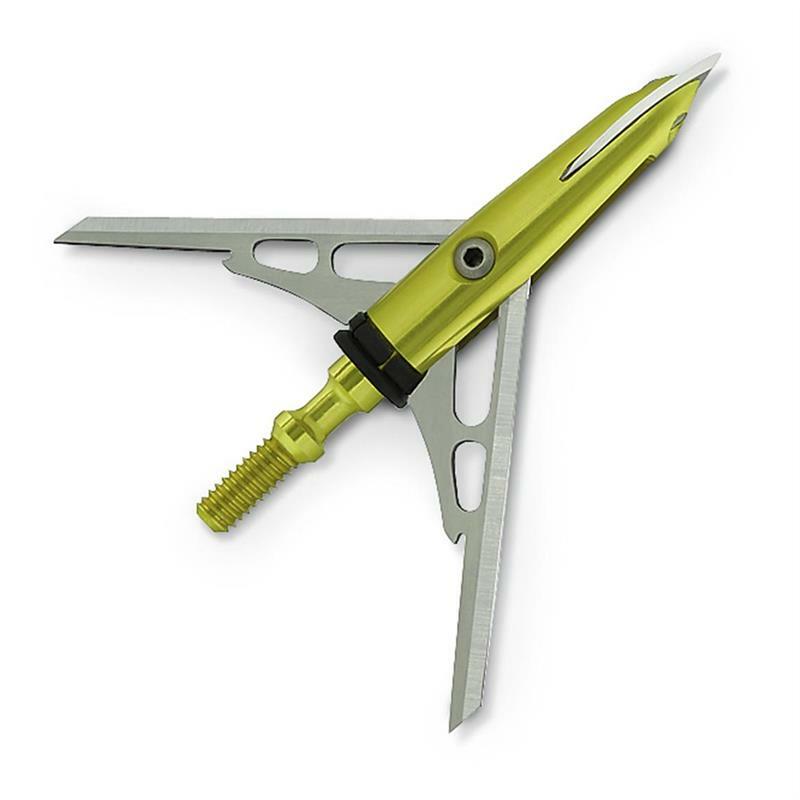 Features: Cut on impact leading blade Aerodynamic ferrule for field tip accuracy Tough, razor sharp .035" stainless steel blades Shock collar prevents premature blade deployment Specifications: Grains: 100 Broadhead Type: mechanical Number of Blades: 2 Cutting Diameter: 2.3"